Virtual Visa® —Your Virtual Visa will be delivered to you via email. Simply click the link to access your Virtual Visa Account, ready for use instantly. 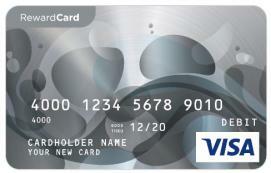 Use your account at worldwide merchants where Visa debit is accepted online or over the phone. Save your email and click the link again at any time to view your balance, transaction history and access the virtual card details. Please be on the look out for an email from Prepaid Digital Solutions.